Losi now offers a handy and economical clutch tool designed to make installing and removing clutch shoes and springs on big block engines easy. The Losi LOSA99168 Clutch Tool all but eliminates the pinched fingers and aggravation associated with working on the clutch shoes and springs of a .21 to .30 engine. This handy clutch tool has a pivoting arm with an extra long metal flap that holds the clutch shoe and retracts the spring for removal. The arm can also be flipped over to correctly position/push the shoe on while retracting the spring during installation. 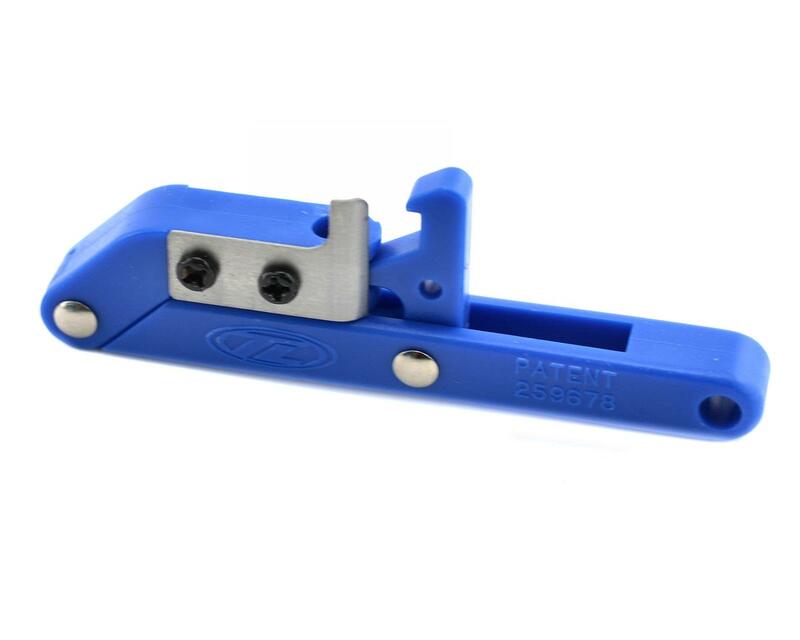 The Losi clutch tool is lightweight and compact easily fitting in your tool kit. All 1/8 scale on-road and off-road racers as well as big block monster truck owners will find this tool a must have. Bought this tool for Losi 8ight 2.0 buggy & truggy. It is much easier to install and remove manually!!! Works great. Unlike other tools that are just for putting shoes on, this one also helps with taking them off. This tool is as good as garbage. 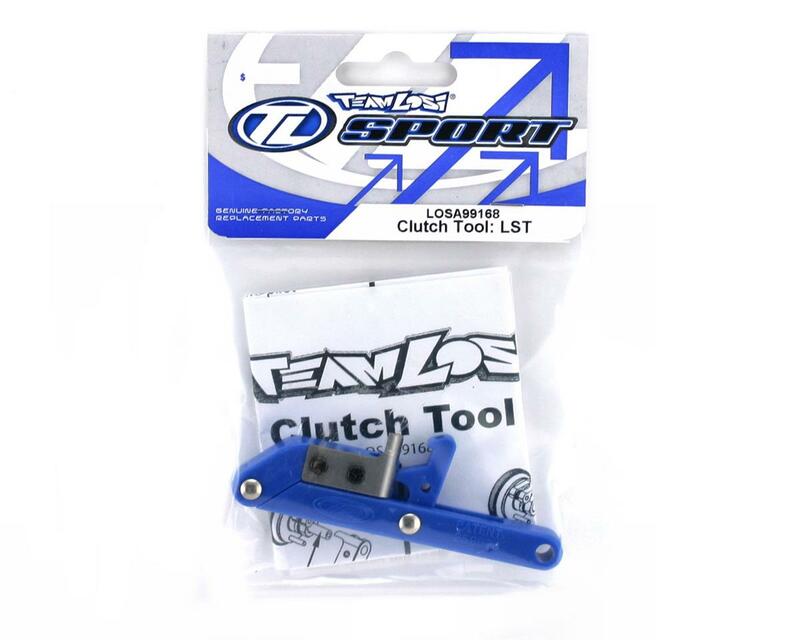 If you are serious about task specific tools, and maintaining your clutch system, please strongly consider the clutch tool from RD or Sportworks. Bought this and was like WTF!? This Losi Clutch tool doesn't even work on Losi clutches (8-b or 8-t). perfect guys!i cant fix an engine without this!!!! Have you ever feared for your life while installing those non willing clutch springs? I have. If you're like me, get this tool. Pure genius! Works like a charm, and dirt cheap. Just get it. Awesome tool!! !it is a must for your toolbox, you can install/remove shoes and springs in seconds!! also the manual for the installation was perfect from the team losi. The package has also a spare part!! TOP!!! Great tool...works great too... as long as your running your clutch shoes in a trailing style. If you run them in the leading style it won't work. Works wonders, a MUST for anyone in nitro. So simple to use. Awesome little tool, works incredibly well. another one to add to the tool box. This is the best clutch tool I have ever used, works great for removing and installing shoes/springs. Not bad considering its half the price of the other junky ones. Losi Shock Springs 7.4 (Yellow) (2) (LST, LST2).